Home Evaluation: What's Your Beautiful Home Worth? Home > What is Your Home’s Value in 2019? What is Your Home’s Value in 2019? market value will give you the necessary information to decide if you want to sell now, rent it out or just wait. Research properties by hand to ensure that your home value report is more much more accurate than “zestimate” from Zillow® or Trulia® would provide. Just share with us the details of your home. If you don’t know an answer, I will look up the property and may reach out to you to confirm details for the home evaluation. I research this RPR, Realtor Property Resource, report for one of my buyer clients in January 2019 for you to review how detailed my report of your home would be. 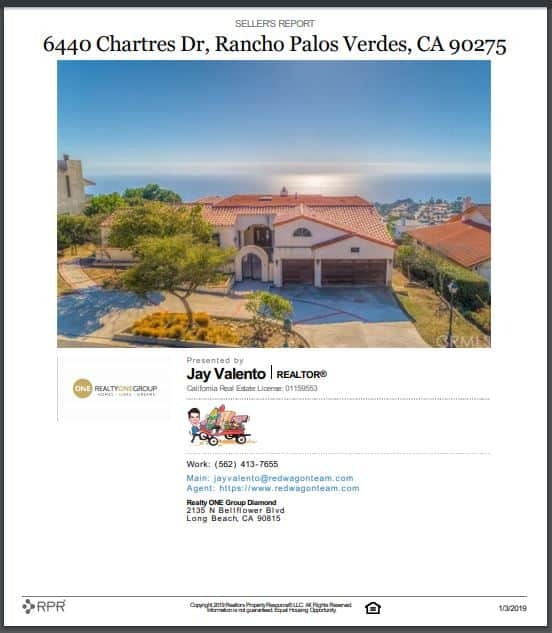 They are looking for an ocean view home in Rancho Palos Verdes as a second home….just in case you know anyone.